2013 Finalists for the Showboats Design award! Just last week, the finalists for the Exterior Design and Styling Award for Displacement Motor Yachts 30 -59.99m were released by Showboats Design award and what a selection they are! They are the biggest and the best of this years crop of super yachts and are truly a sigh to behold. The 2013 finalists are Adastra, Arianna, 2Ladies, Aslec 4, Belle Anna and Rahil; all were years in the making and the culmination of thousands of hours of painstaking work by the top designers and engineers in the yachting industry. Here are some info and pictures on just two of these fabulous yachts! ADASTRA has been described as everything from futuristic to an alien space ship! She sports accommodation for nine guests and up to six crew members. She has a maximum speed of 22.5 knots and range of 4,000 miles and comes complete with a sauna, a whirlpool, luxury kitchen and baths, and a spacious saloon with panoramic views. You can even control her using your Ipad from as far away as 50m. Astonishing! ARIANNA (formerly 164041) is a 50m motor yacht, custom built in 2012 by Delta Marine. Her elegant exterior and interior styling are the work of Delta Design Group, who is also responsible for her engineering. 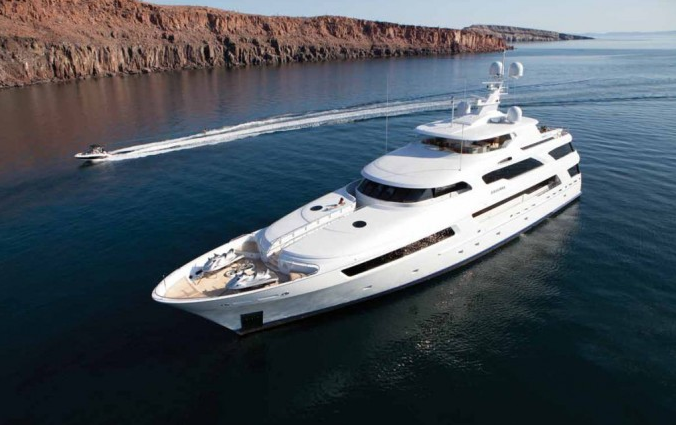 She generated huge excitement in the build up to the 2012 Fort Lauderdale Boat Show and is already available for charter. For more information on chartering the latest luxury yachts check out our site at www.boatbookings.com. We are here to help you plan your perfect luxury yachting holiday. We have a team of highly skilled professionals who are extremely knowledgeable in their destinations and will be able to help you bring together the yacht, the crew and the destination to make sure you have the best possible charter! Keep checking our Facebook page and follow us on Twitter and Google Plus for all the latest industry show releases, news and gossip in the yachting world.